"The concept of intelligence has developed a mystique in recent times because of our obsession with the link between formal education and social status. Many people link IQ with human value in an almost obsessional way. Actually, the IQ test is a survey of human activities and assesses a range of skills in almost the same way attitude scales measure attitudes. Accelerated Resolution Therapy is a form of psychotherapy with roots in existing evidence-based therapies but shown to achieve benefits much more rapidly (usually within 1-5 sessions). Clients with depression, anxiety, panic attacks, post-traumatic stress disorder (PTSD), substance abuse, sexual abuse and many other mental and physical conditions can experience remarkable benefits starting in the first session. 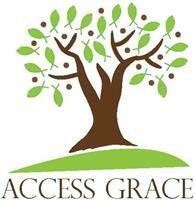 Please contact us at AccessGrace to learn more: 770-888-7754, AccessGrace.com.